Just in time for Valentine’s Day, Happy Socks have teamed up with painter and photographer Curtis Kulig, the creator of the instantly recognisable ‘Love Me’ artwork. 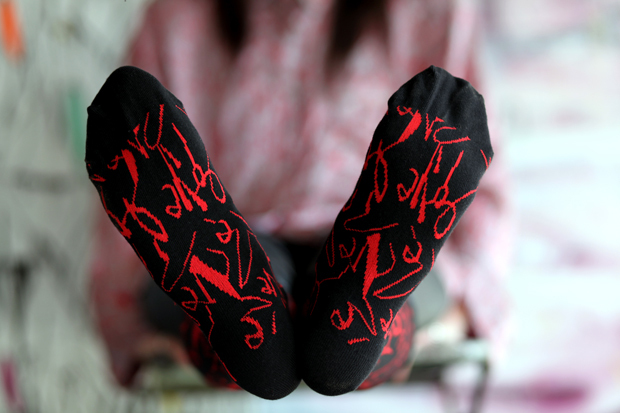 Three socks are in this collaboration and all feature the hand written ‘Love Me’ words on combinations of black, red and white socks. The ‘Love Me’ scribe was first created in 2005 on the walls of Los Angles and Kuligs’ scribble quickly became a phenomena of sorts, being spotted after in New York, Paris, Istanbul and even Tokyo. 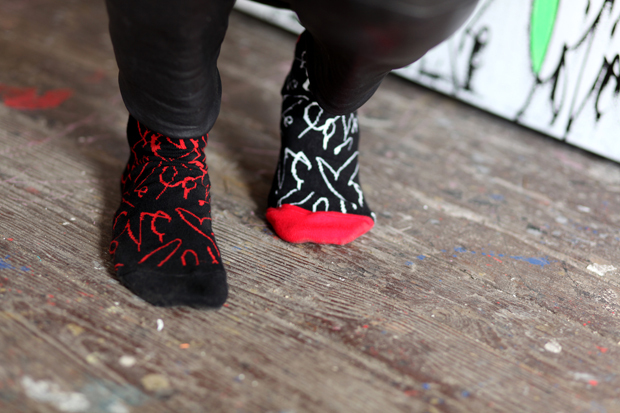 The socks take direct influence from the artist’s canvas works that he is still creating whilst based on Soho, New York. For more info on Curtis Kulig check him out here. This special valentines day collaboration is available direct from Happy Socks and selected Happy Socks retailers.